to control advances by banking companies, accounts and audit of banks, restrictions as to minimum paid up capital and reserves, restrictions as to payment of dividends, validation of license granted by RBI to multi-state co-operative societies. It also contains provisions for suspension of business and winding up of the banking business. This Act provide provisions for the acquisition and transfer of the undertakings of certain banking companies, having regard to their size, resources, coverage and organisation, in order to control the heights of the economy and to meet progressively. and serve better, the needs of development of the economy in conformity with national policy and objectives and for matter connected therewith or incidental thereto. This Act provides provisions for the acquisition and transfer of the undertakings of certain banking companies, having regard to their size, resources, coverage and organisation in order further to control the heights of the economy, to meet progressively, and serve better, the needs of the development of the economy and conformity with the policy of the State towards securing the principles laid down in clauses (b) and (c) of article 39 of the Constitution and for matters connected therewith or incidental thereto. 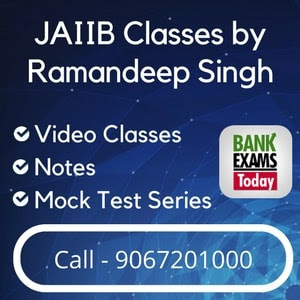 It is an Act that constituted State bank for India and transferred to it the undertaking of the Imperial bank of India and to provide for other matters connected therewith or incidental thereto. Its purpose is to extend the banking facilities on a large scale, more particularly in the rural and semi-urban areas, and for diverse other public purposes. It is an Act that provides for the formation of certain Government or Government- associated bank as subsidiaries of the State bank of India and for the constitution, management and control of the subsidiary banks so formed, and for matters connected therewith, or incidental thereto. It is an Act that provide for the incorporation, regulation and winding up of Regional Rural banks with a view to developing the rural economy by providing , for the purpose of development of agriculture, trade, commerce, industry and other productive activities in the rural areas, credit and other facilities, particularly to the small and marginal farmers, entrepreneurs, and for matters connected therewith and incidental thereto. As per section 2 of banking Regulation Act, 1949 the provisions of banking Regulation Act, 1949 shall be in addition to, and not, save as hereinafter expressly provided, in derogation of the Companies Act, 1956 (1 of 1956), and any other law for the time being in force. 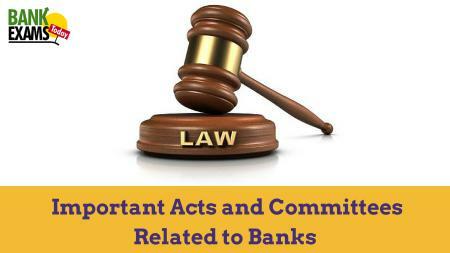 The Banking Regulation Act is to be read as supplemental to the Companies Act. Hence the provisions relating to appointment, qualification, disqualification under companies act for company auditor applies to bank auditors also. This act provide legal recognition for transaction carried out by means of electronic date interchange and other means of electronic communication, commonly referred to as "electronic commerce", which involve the use communication and storage of information to facilitate electronic filling of documents with the Government agencies and further to amend the Indian penal Code, the India Evidence Act, 1872, the Banker's books Evidence Act, 1891 and the Reserve bank of India Act, 1934 and for matters connected therewith or incidental thereto. (i) All cash transactions of the value of more than Rs.10 lakhs or its equivalent in foreign currency. (ii) All series of cash transactions integrally connected to each other which have been valued below Rs.10 lakhs or its equivalent in foreign currency where such series of transactions take place within one calendar month. (iii) All suspicious transactions whether or not made in cash and including, inter-alia, credits or debits into from any non-monetary account such as Demat account. security account maintained by the registered intermediary. This Act provides provisions for the regulation of credit information companies and to facilitate efficient distribution of credit and for matters connected therewith or incidental thereto. It is an Act to regulate securitisation and reconstruction of financial assets and enforcement of security interest and for matters connected therewith or incidental thereto. a. The cash withdrawal (by whatever mode) is from an account other than a savings bank account. b. The account is maintained with any scheduled bank. c. The amount of cash withdrawn on a single day from the same account should exceed Rs.25,000 in the case of an individual or an HUF or Rs.1,00,000 in the case of any other person. (ii) Receipt of cash on encashment of term deposits. a. The cash is received on encashment of a term deposit or deposits. b. The term deposit or deposits are in any scheduled bank. c. The amount of cash received in a single day exceeds Rs.25,000 in the case of a deposit or deposits in the name of an individual or an HUF or Rs.1,00,000 in a case of any other person. No BCCT shall be payable if the amount of term deposit or deposits is credited to any account with the bank. BCCT is charged at the rate of 0.1 percent of every taxable banking transactions. The income of a bank is chargeable ti income tax under section 28, Profits and gains of Business and profession. Apart from normal deductions under section Chapter IV.D. Certain Specific Sections deal with the income chargeable to tax of a banking company. Section 43D provides that interest income of bad and doubtful debts i.e. NPAs shall be chargeable to tax in the year in which they are credited to the profit and loss account or the year in which they are received. Hence the banks are allowed to follow a Hybrid System of Accounting, which is banned in case of other assessees by virtue of section 145 of the Income Tax act. The provision made on NPAs is also allowed as a deduction as against the normal rule under section 36(1)(viii) to the extent of 7.5% of Income (computed before any deduction under this clause and Chapter VI-A) under the act ot 5% (10% in case of rural branch ) of the NPAs as per books of account of the bank on the last day of previous year. This is applicable from 1st October 2004. The STT is applicable at different rates on the value of the "taxable securities transaction," which means a transaction of purchase and sale of securities entered into in a recognised stock exchange in India and is payable by the buyer and the seller of the securities. (iii) in the case of any other taxable securities transaction, shall be the price at which such securities are purchased.